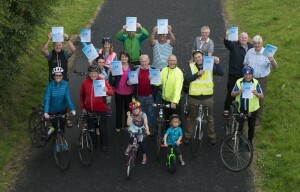 The Annual Greenway Cycle Launch. The 8th Annual Greenway Cycle in aid of Local Mayo Cancer Support, Rock Rose House, takes place on Sunday August 6th. It was recently launched by Fr. Charlie McDonell and Fr. Patrick Burke at the Westport Greenway. The Cycle is organised each year by local man John Tiernan who describes Mayo Cancer Support, Rock Rose House as a place where “a light of hope is given to people in a very dark place in their lives who are affected by a cancer diagnosis”. 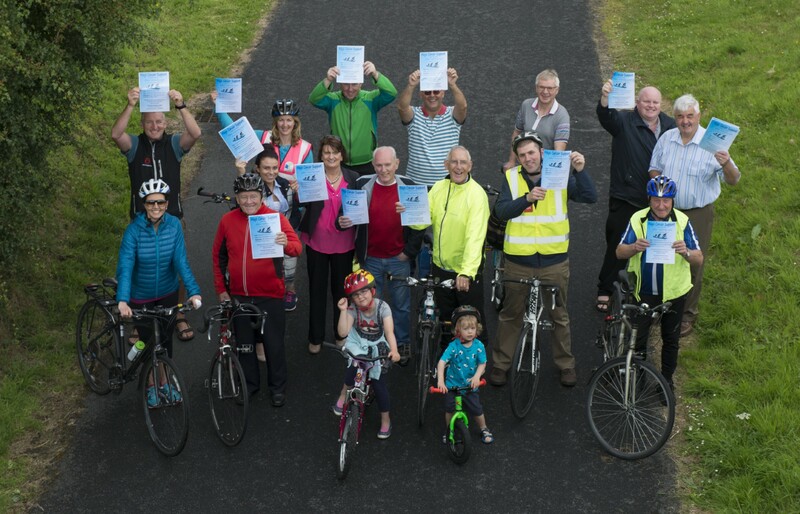 Registration for the cycle is €20 and will take place on Sunday 6th August at 9am at Westport Leisure Centre and will depart at 10am to Tiernaur where refreshments will be served at Nevins Newfield Inn before cyclists return to Westport. Sponsorship Cards are now available. Your support for this event would be greatly appreciated.